Eton is a luxury men’s shirt company founded in 1928. Ever since the start, quality and innovation have been at the very core of what the company does. With its roots in Gånghester, a small town in the south of Sweden, it has today successfully grown into a global leading fashion brand. Over the last decades, Eton has continued to perfect its craft through performance fabrics, reinvention of classics and by artistic prints and designs.  Eton can today be found in 50 markets at some of the world's most exclusive stores. Our company culture promotes an open environment by all of us being transparent, respectful, honest and trusting. We always look for those who will best fit into our company culture and who shares our core values. You are quality-driven: you put quality first in everything you do. You are committed to being the best Eton you can be. You are progressive. You constantly move forward; innovating, improving and growing. The position is based in Gånghester or Stockholm, is a full-time employment and includes occasional travel when necessary to support the business. Are you the right candidate? Send your application, including CV and Cover letter to Oliver Lübbenjans, Wholesale Director, oliver.lubbenjans@etonshirts.com. We review applications on an ongoing basis. For any further questions, you are welcome to contact Oliver Lübbenjans at oliver.lubbenjans@etonshirts.com or +49 160 4447548. •	You have proven ability to multi-task in a fast-paced environment, delegate with clearly defined responsibility and organized work well. •	You are reliable upon to meet schedules and deadlines. •	You will develop and administering Eton’s entire CRM marketing communication platform. •	You will own the CRM content for various consumer segments, target groups and communication channels. •	You will manage a cross-channel strategy, e.g. emails, apps and onsite. •	You will manage projects for journey implementation within the marketing platform. •	You will be responsible for continual improvement of process of user experience and customer journey. •	You will continuously improve performance optimization of existing journeys. •	You will be responsible for blueprint and documentation of all journeys. •	You will be responsible for marketing Automation, develop trigger-based email strategy and executions. •	You will support the development and implementation of analytic tools. •	You will continuously improve within our Sales Force Marketing Cloud. •	You will together with other stakeholders evaluate existing CRM processes and underlying technologies. •	Experience in CRM Marketing in a global environment. •	Used to working with Data Driven Marketing and CRM / loyalty programs. •	Solid knowledge of Salesforce Marketing Cloud, Sales Cloud & Marketing Automation or similar. •	Experience in creating and implementing trigger-based emails/journeys. •	Proven operational implementation and maintenance of a CRM project. •	Experience in understanding and interpreting customer segmentation. •	Up-to-date with the latest trends and marketing automation. •	Knowledge in terms of creating engagement, re-occurring visits and at the same time increase direct sales with a sales optimizing and commercial focus. The position is based in Gånghester and is a full-time permanent employment. Are you the right candidate? Send your application, including CV and Cover letter to Online Assortment Manager kicki.svensson@etonshirts.com latest 28th of April. We review applications on an ongoing basis and will close the ad once we have found our right candidate.